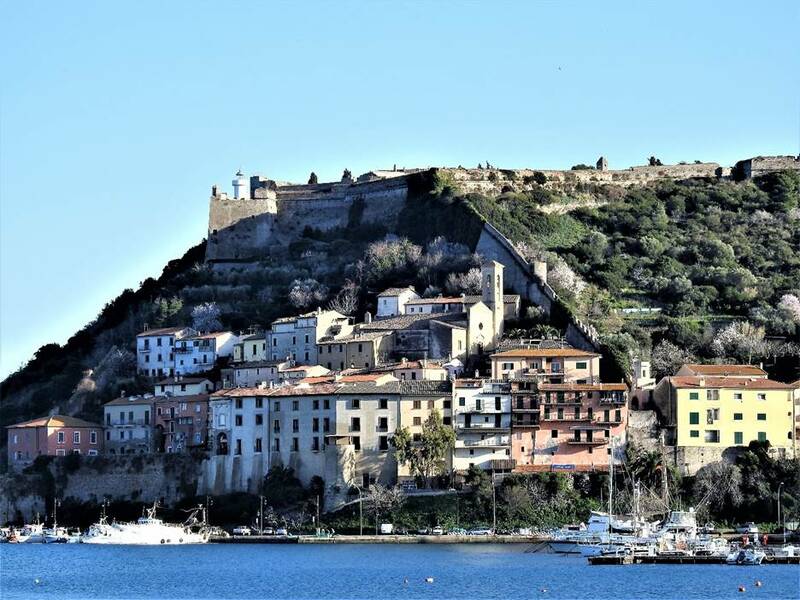 As I write this post I am sitting on my granddaughter’s bed in Washington State and missing the sea of Chiavari where I live. Don’t get me wrong. I adore my granddaughter and my daughter too. I love spending time with them. But the sea is calling me home. 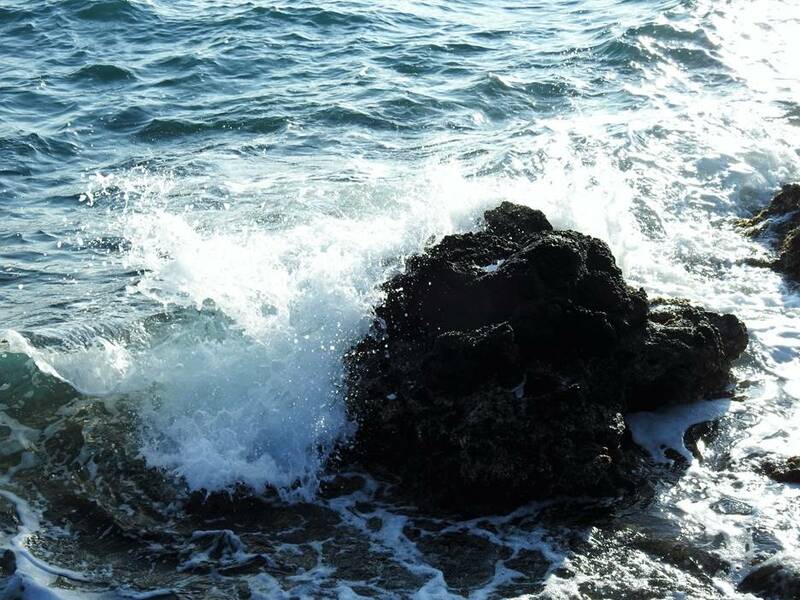 The Mediterranean Sea glistens off the Western side of Italy and I love the deep blue color of its water. 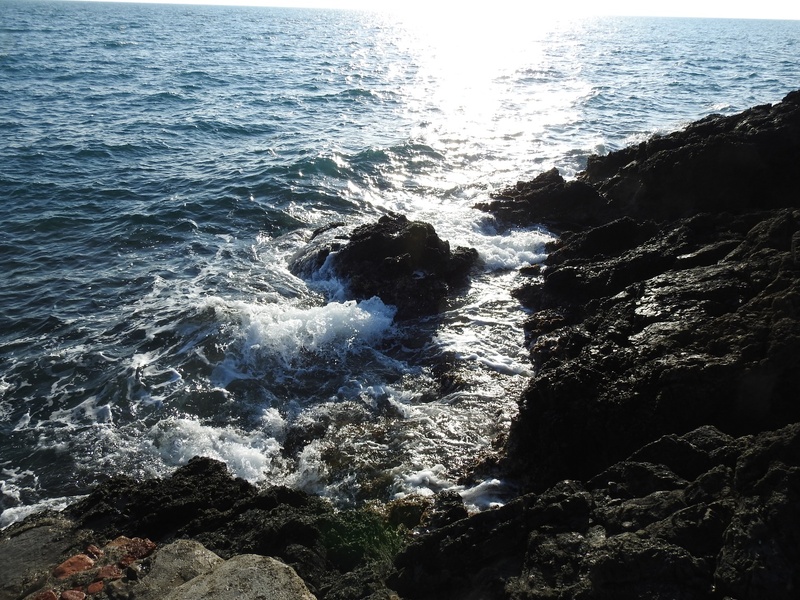 There are several places I have enjoyed along the seas of Italy. 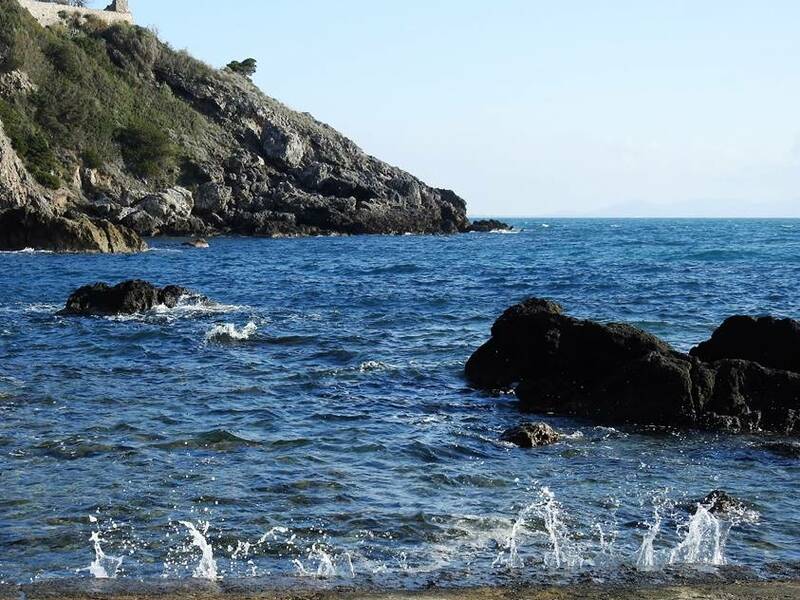 Let me share a few seaside towns in Maremma where my heart soared with the sea. 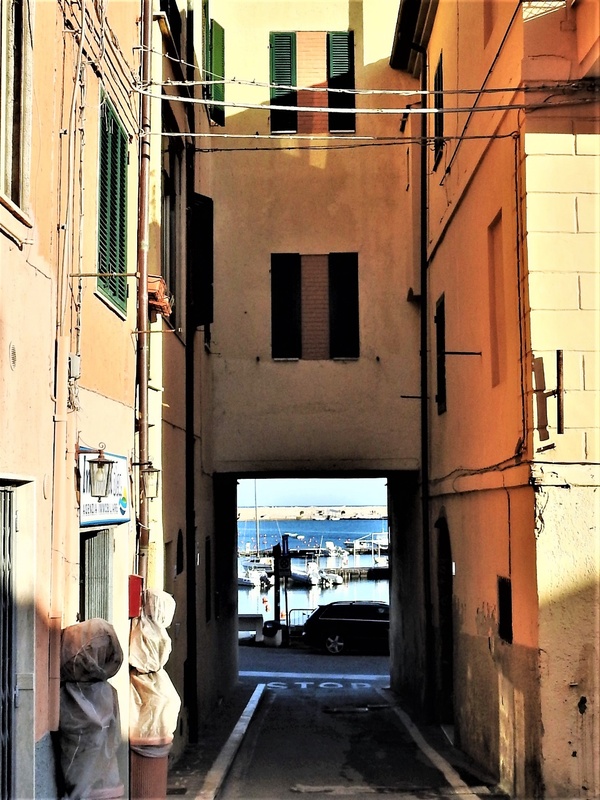 While I studied Italian and lived with a family in Maremma, I visited many out of the way locations. 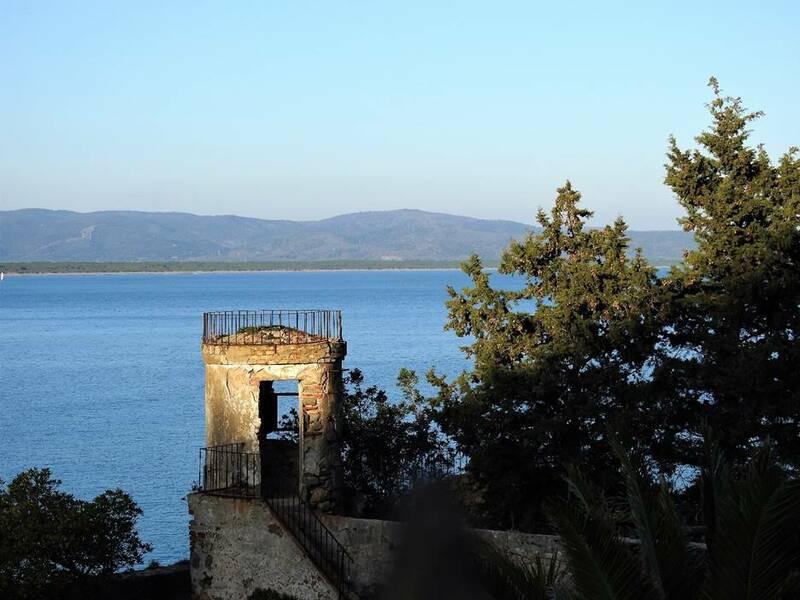 On a brisk February day, I visited Orbetello and Santo Stefano in the province of Grosseto. 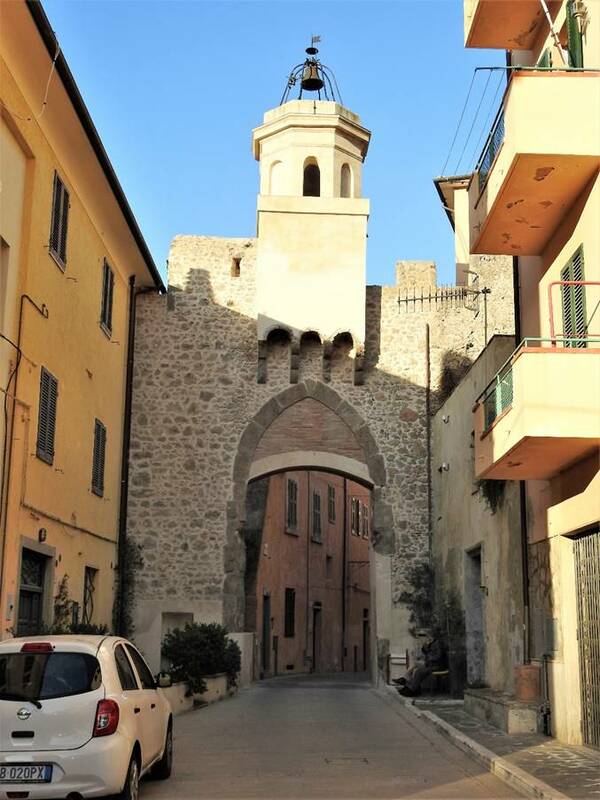 like a twin town, is Santo Stefano, a hill town on the sea that is worth more time to me. It was cool and cloudy while we walked the streets along the sea. 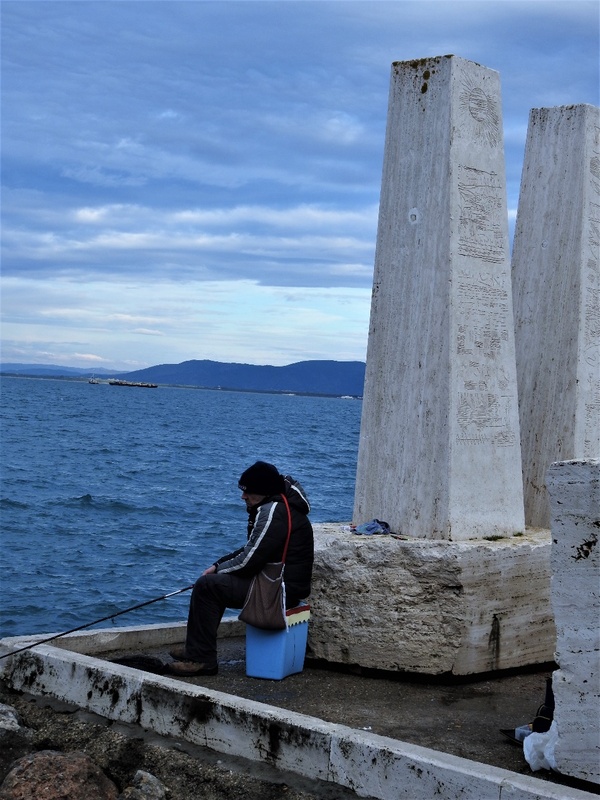 A lone fisherman was attempting to catch his daily protein while leaning against a World War II veteran’s memorial. We walked along the many streets, stopping for a caffe’ macchiato to warm us. Everywhere we went we heard la lingua italiana, Italian, spoken by everyone. There were no tourists, nor places that attracted them. As the day cleared a bit, it was easier to picture Santo Stefano in the summer months. I must return. 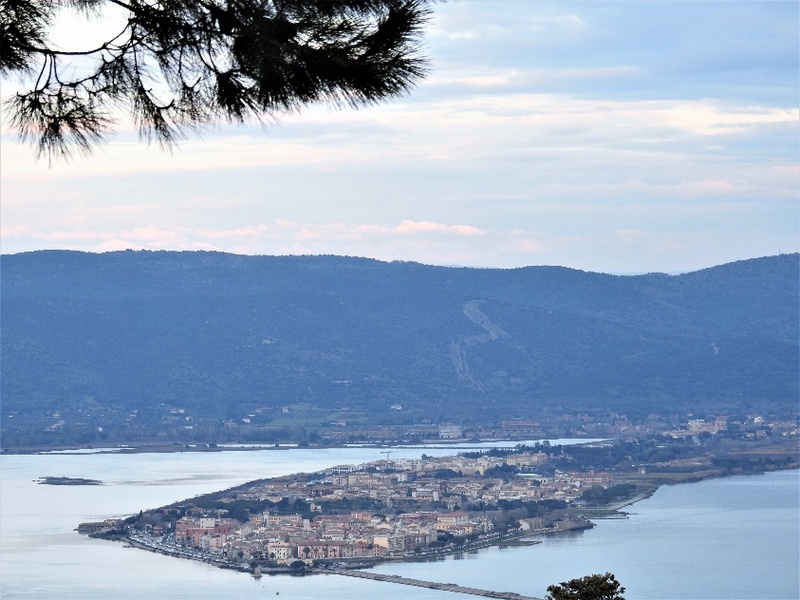 As we said our farewells to Santo Stefano and Orbetello, we stopped at a monastery, Monastero Padre Passionisti, overlooking both towns. It was sunset and such a beautiful view. 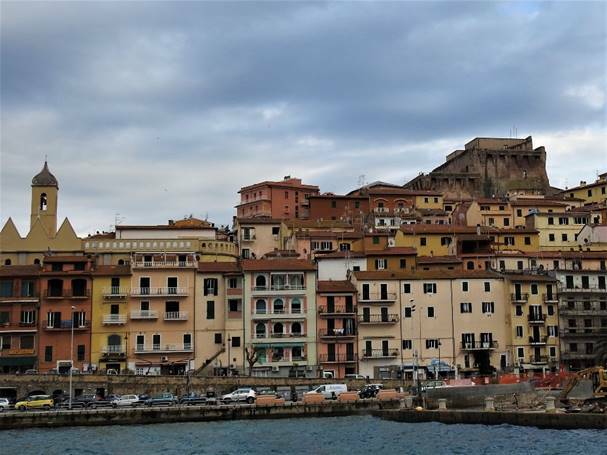 On another day trip in Maremma, we visited another sea town, Porto Ercole. 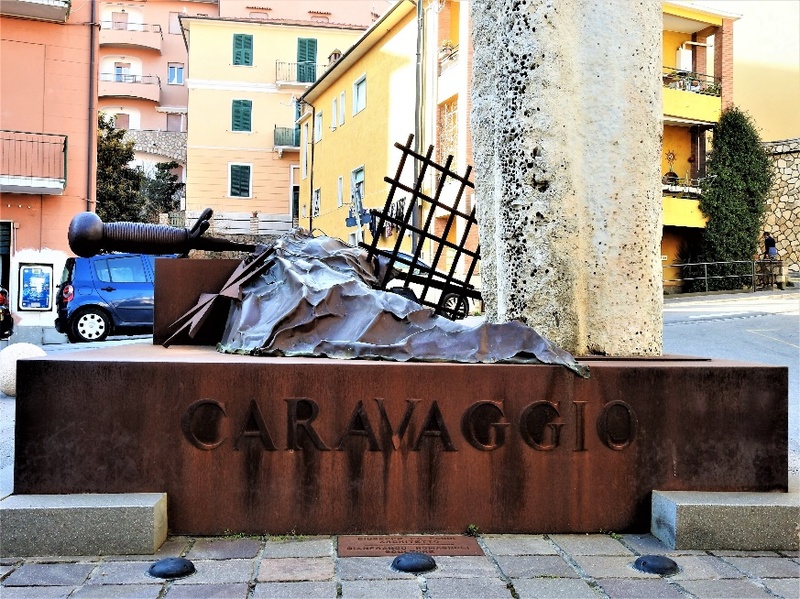 Immediately after parking we discovered a work of art honoring the death of the great painter, Caravaggio, who died in Porto Ercole. 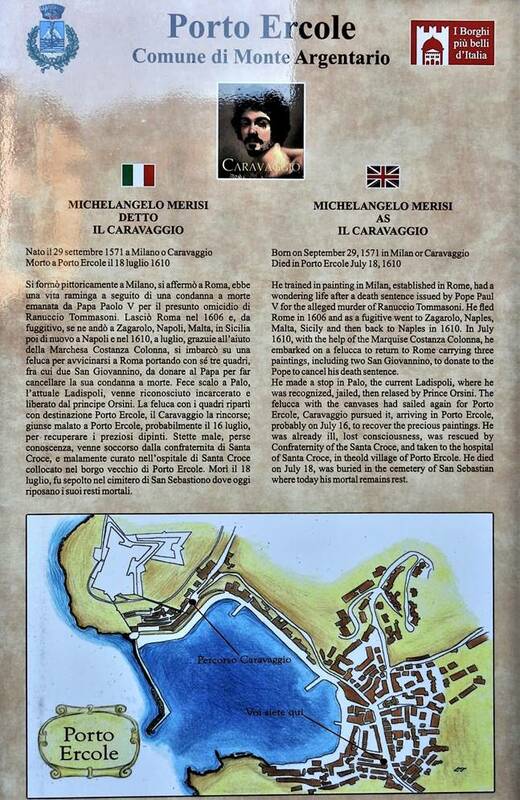 The troubled but talented Caravaggio was ill when he arrived in Porto Ercole and died within days. Below is the story of his demise. After leaving his memorial we passed through the archway to the sea. My camera seemed to take photos on its own. The town was so very picturesque. 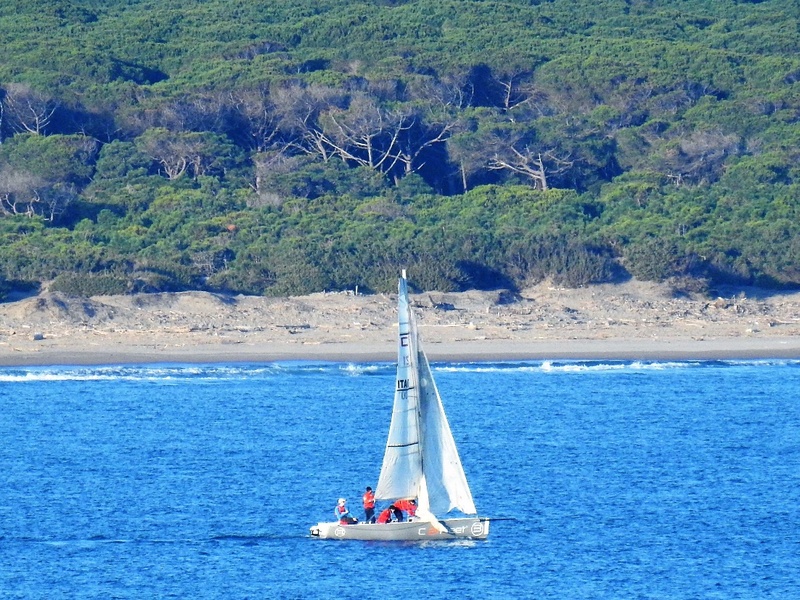 This cool and sunny day was perfect for photos and for sailing. 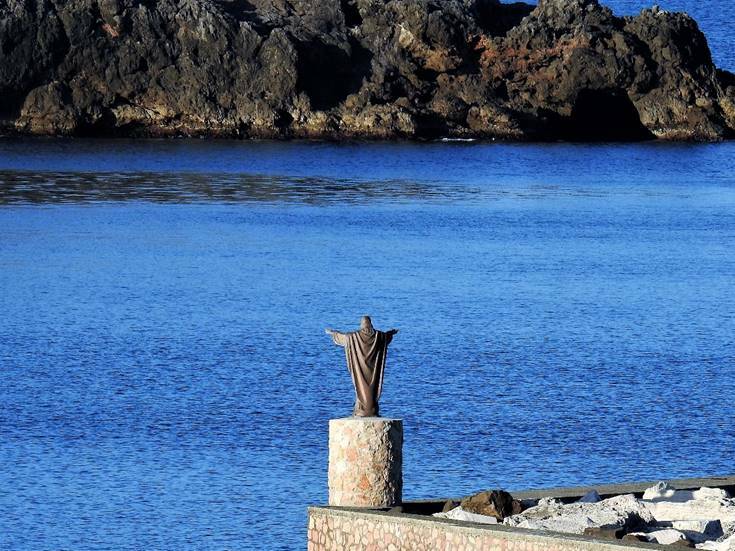 We walked along the shore passing religious shrines that protected the fishermen of the town. 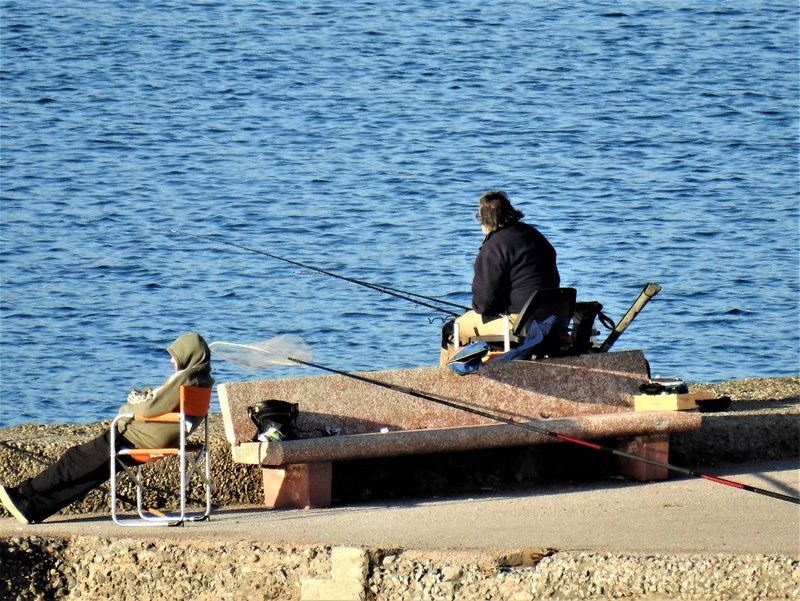 And again, we found those fishing from the shore. We climbed up to the medieval fortress entrance to the old town. And viewed the bay from above. It was all so impressive. 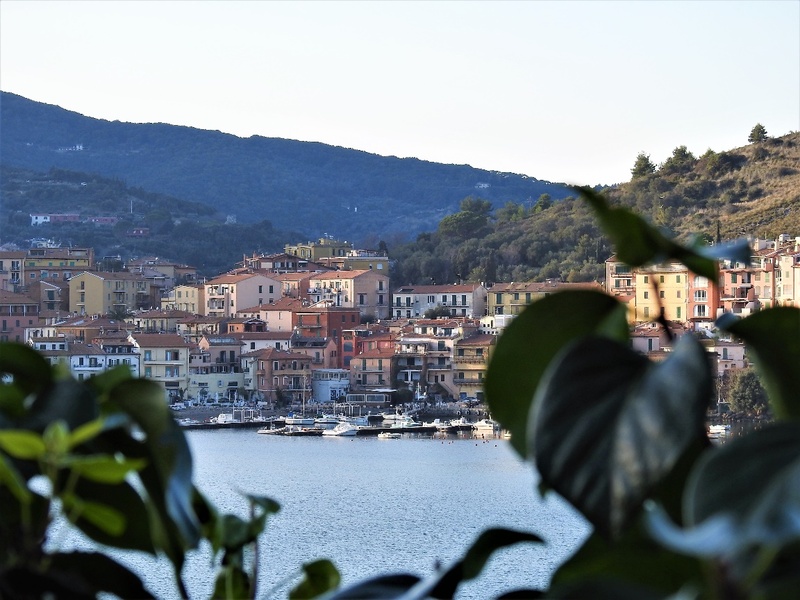 I am certain in the summer time, Porto Ercole is busy with Italians on vacation as well as the locals. But for us, it was a quiet, peaceful day, begging us to return. 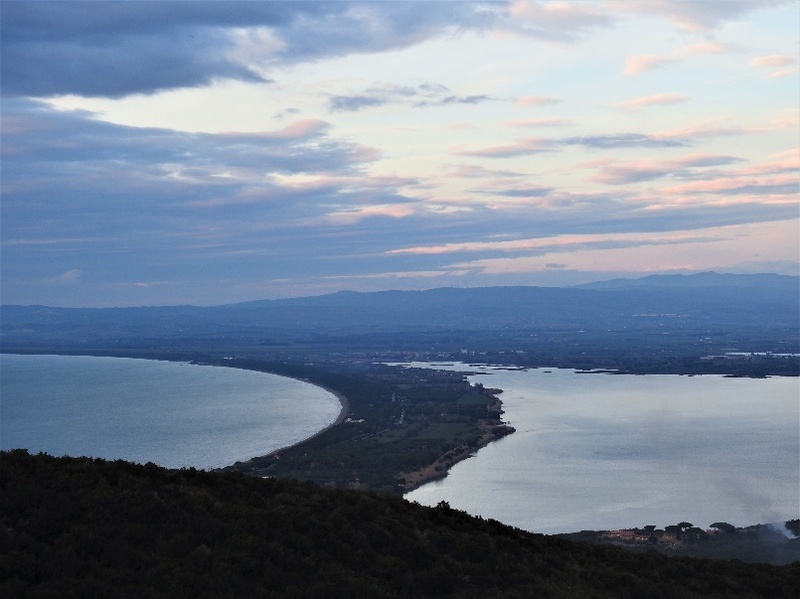 The third seaside hidden gem that we visited in Maremma is the town of Talamone. 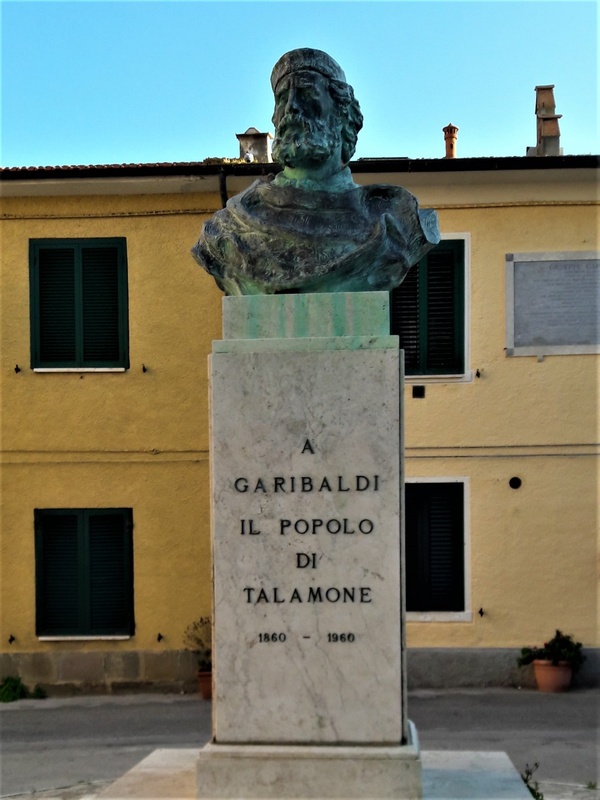 One of Talamone’s famous visitors was Garibaldi himself. 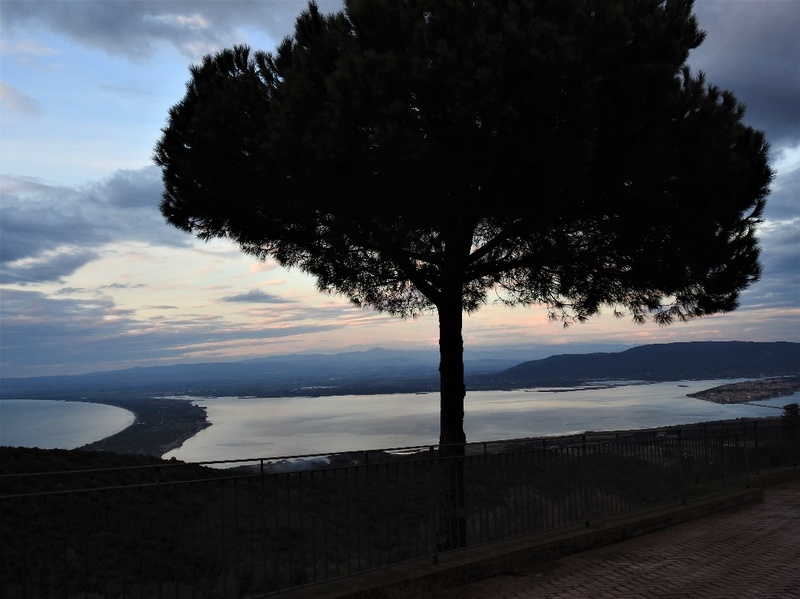 When Giusseppe Garibaldi left Genoa to help in the rebellion in Sicily, he stopped in Talamone to resupply his men with food, coal and ammunition. Without Talamone’s assistance, what was called the Expedition of the Thousand, would not have begun the revolution that changed all Italy. They also picked up the nickname of I Pizziconi, The Pokers, for trying to be sexual with the women and girls of Talmone. 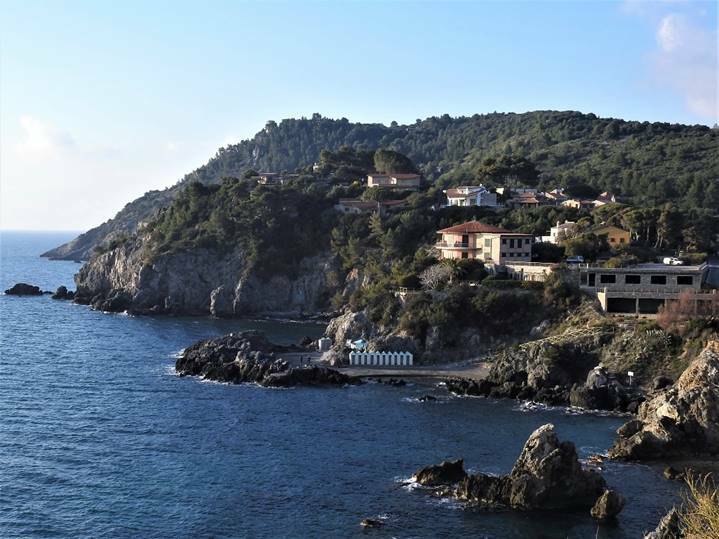 Beyond the history lesson of this quiet village is its rugged beauty along the sea. Again, my Nikon took over. I took movies and, perhaps 100 photos. We sat by the sea for over an hour. 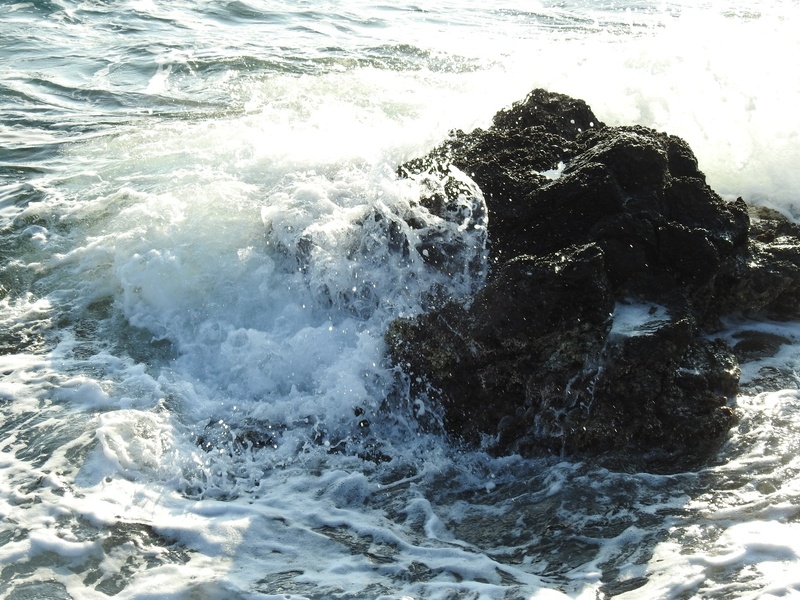 There was a beach area on the other side, a bit less raucous, but the power and majesty of the sea here captivated my soul. Perhaps on my next visit I will explore the old fortress, bring a swimsuit and enjoy the calmer waters on the other side. But not this day. When you visit Italy, you can never have enough time to do everything or see everything. There is so much in the Bel Paese to experience. When you plan your adventure, visit the places that are important to you. 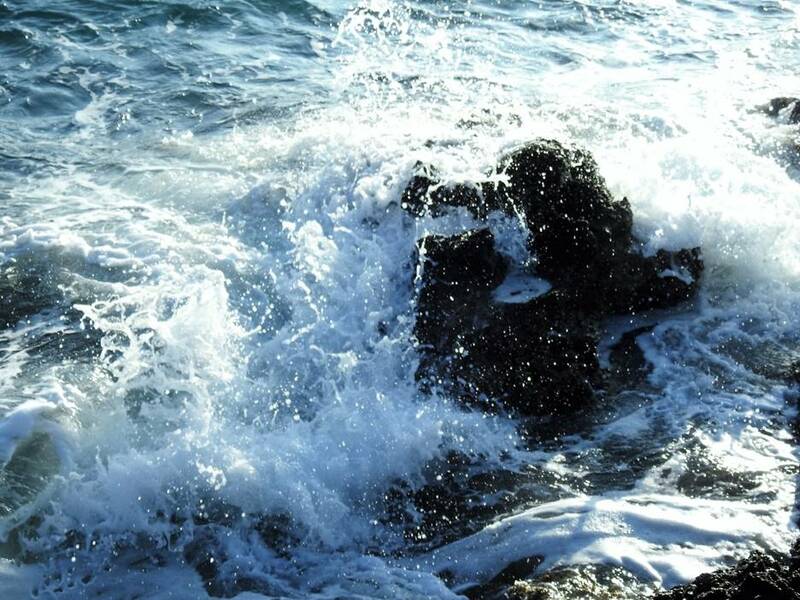 If the sea calls you as it does me, I can help you fit a visit into your plans and have it make sense. Let me know how I can assist you. Contact me at Marilyn@takemehomeitaly.com any time. I await your contact. Until then, ci vediamo a dopo! See you later!